Welcome to the Champion Tree Registry, a celebratory collection of some of the worlds largest trees. This site is a shared archival of past and current champion trees in Oregon(OCTR) and Washington State(WCTR). The purpose of the Champion Tree Registry is to raise awareness of and appreciation for large, old and old-growth forest trees. 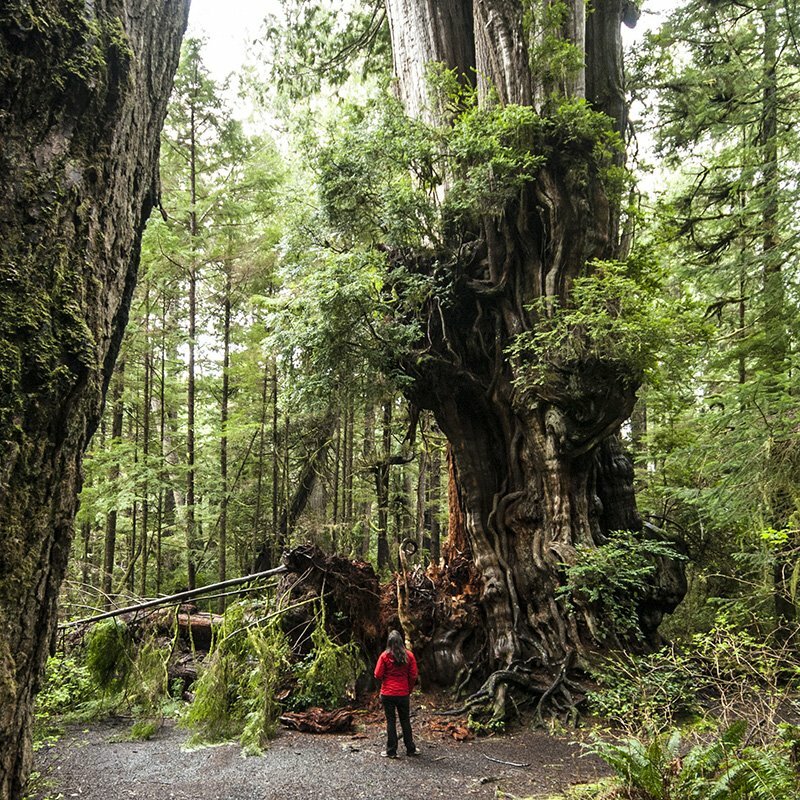 In Oregon, the largest tree of each species have been recorded since 1941. However, these are more than just a lists. They provide important information to help find protection for these iconic trees. The archive now recognizes the longest living tree in the Pacific Northwest, the Limber Pine (measured by Robert Van Pelt and Chris Earle in 2008), as well as the tallest known Douglas-fir at 327 feet. The Kalaloch Cedar, estimated to be roughly 1,000 years old. Find how to get to this tree with the Outdoor Project. Want to visit more champion trees? Find trail and location info for trees disclosed with Outdoor Project. Have or know of a potential champion tree? Find out how to nominate a tree and whether or not your tree is eligible.